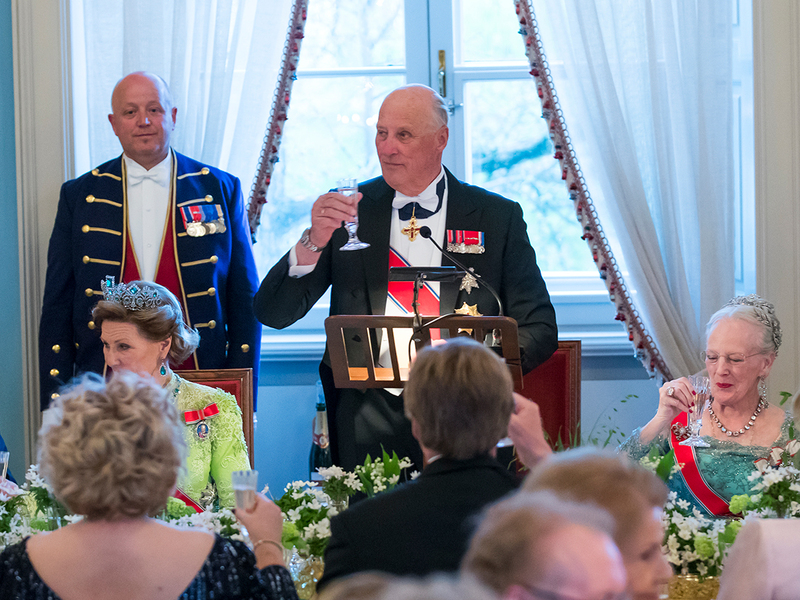 His Majesty The King's welcome at the start of the gala dinner celebrating the 80th anniversary of The King and Queen. That is how I feel today. I look at the number 80, and I cannot really understand that it has got anything to do with me. At least nothing to do with the Queen – who is incredibly fit! I have had a hard time catching up with her for a long time already! But fortunately – after almost 50 years of marriage, we are still in this together. We work together, we share experiences, we face worries and joys together. So tonight is an evening for gratitude. The Queen and I want to thank every one of you who are here tonight to share this celebration with us. A special thank you to those of you who have travelled far. Many of us gathered here are members of the same European family, we are friends – and colleagues. 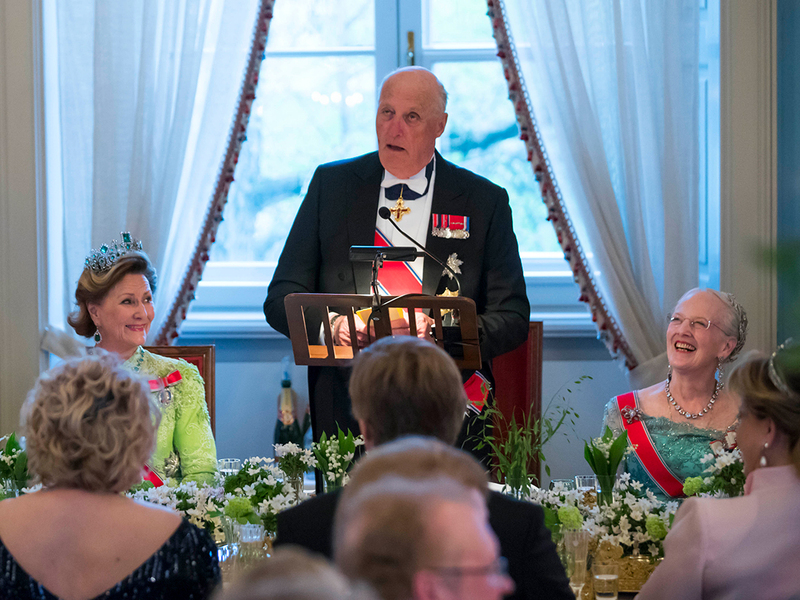 I believe it is valuable for all of us who are in the “royal profession” to come together – also across generations – and discuss matters of common concern. We are living in uncertain times, and in societies with fast changes. Especially in times like these, we should value and nourish long standing and deep relations like ours. Celebrating our 80th anniversary is nothing we take for granted. We are blessed with good health. We are blessed with a wonderful family. We are blessed with loyal friends who have stood by our side through ups and downs. And we are blessed with a meaningful life in service for our country and our people. What more can we wish for? Tonight, I hope we can be together in a spirit of gratitude for life. Every day is a gift that we should never take for granted. Every day is an opportunity to do good. Every day we can be there for our loved ones. And we can acknowledge those who need to be seen. So dear friends, a warm welcome to all of you – and thank you again for being here. I hope we will all have a good time together.